A sweeping, gorgeously written debut: a novel of duty to family and country, the dictates of passion, and blood ties unraveling in the charged political climate of Berlin between the world wars. Lev Perlmutter, an assimilated, cultured German Jew, enlists to fight in World War I, leaving behind his gentile wife, Josephine, and their children, Franz and Vicki. Moving between Lev's and Josephine's points of view, the first part of the novel focuses on Lev's experiences on the Eastern Front--both in war and in love--which render his life at home a pale aftermath by comparison. The second part of the novel takes us to Berlin, 1927-28. Now young adults, the Perlmutter children grapple with their own questions: Franz, drawn into the Nazi brown shirt movement, struggles with his unexpressed homosexuality; Vicki, seduced by the Jazz Age and everything new, bobs her hair and falls in love with a young man who wants to take her to Palestine. 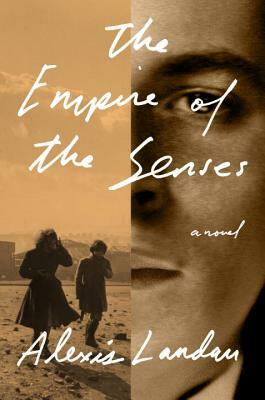 Unlike many historical novels of its kind, The Empire of the Senses is not about the Holocaust but about the juxtaposition of events that led to it, and about why it was unimaginable to ordinary people like Lev and his wife. Plotted with meticulous precision and populated with characters who feel and dream to the fullest, it holds us rapt as the tides of cultural loss and ethnic hatred come to coexist with those of love, passion, and the power of the human spirit. ALEXIS LANDAU is a graduate of Vassar College. She received her MFA from Emerson College and her PhD in English Literature and Creative Writing from the University of Southern California. This is her first novel. Alexis lives with her husband and her two children in Santa Monica, California.